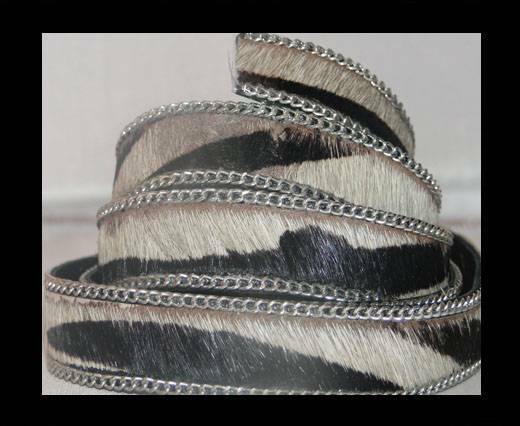 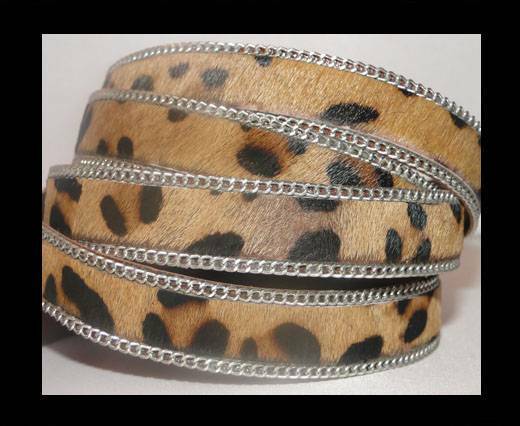 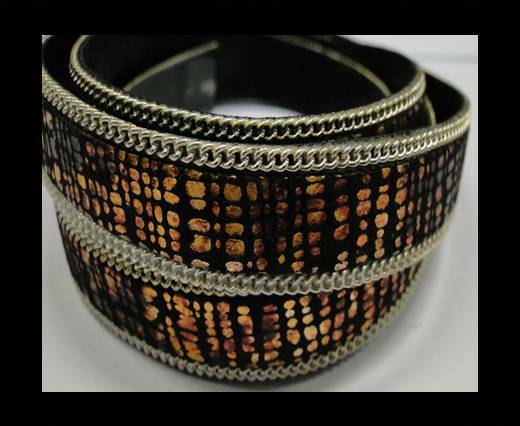 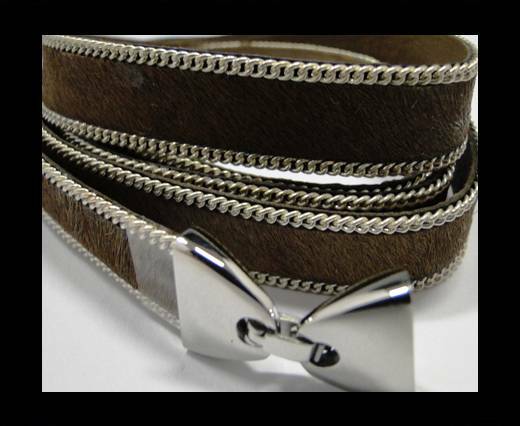 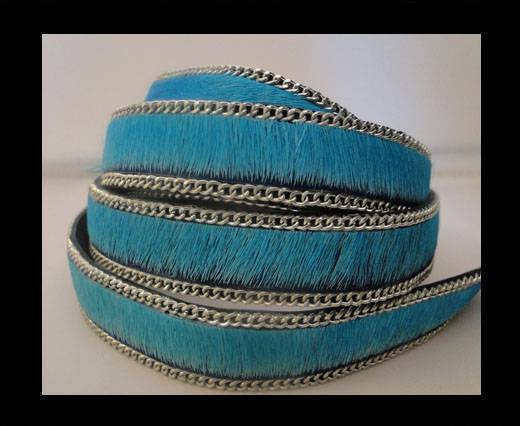 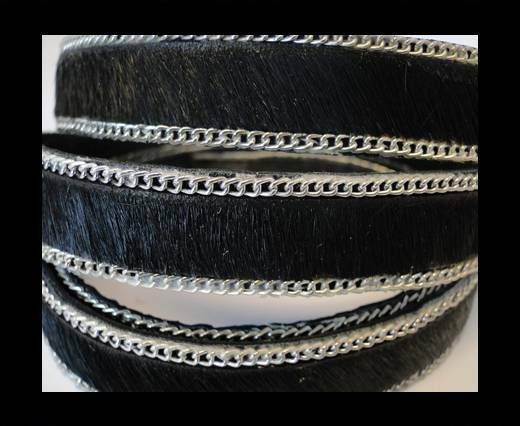 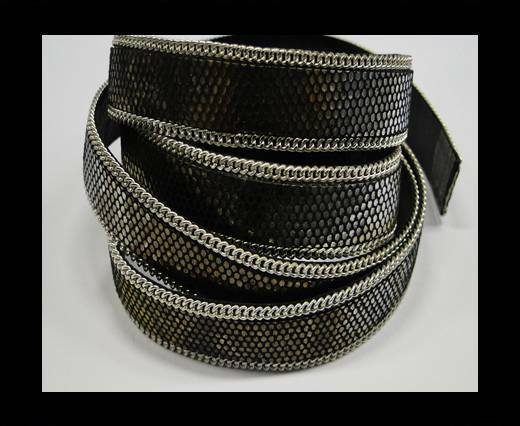 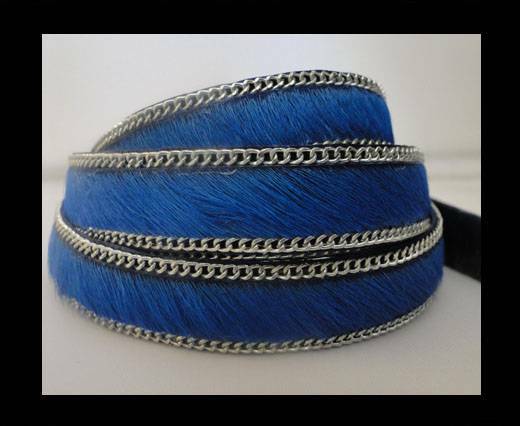 Hair-on leather for necklaces, chokers and other fashion accessories with silver chains in 14 mm at wholesale prices! 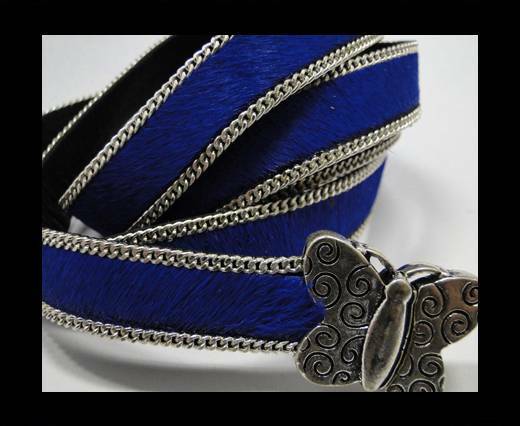 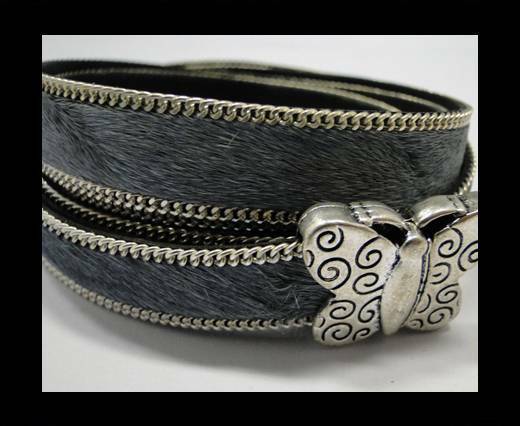 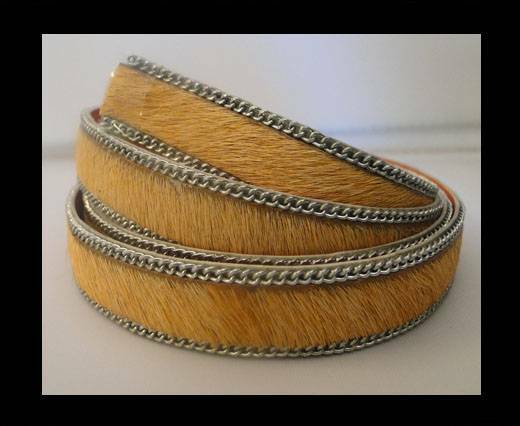 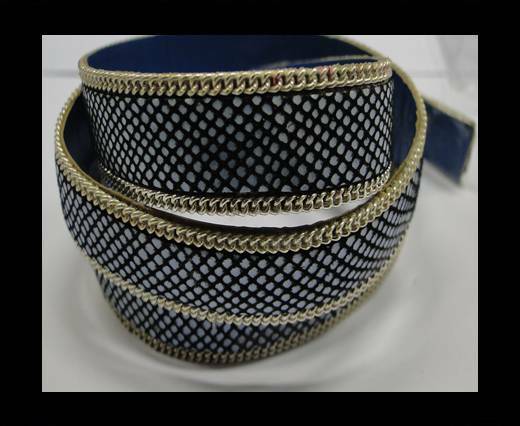 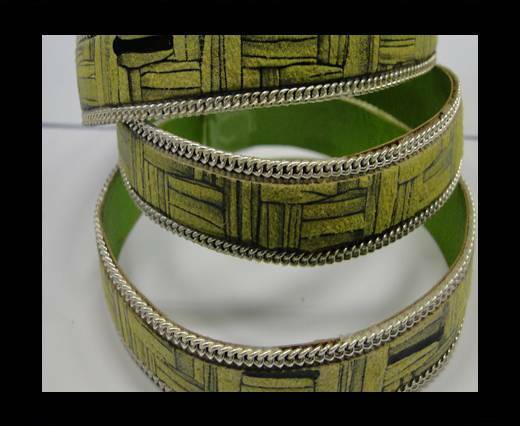 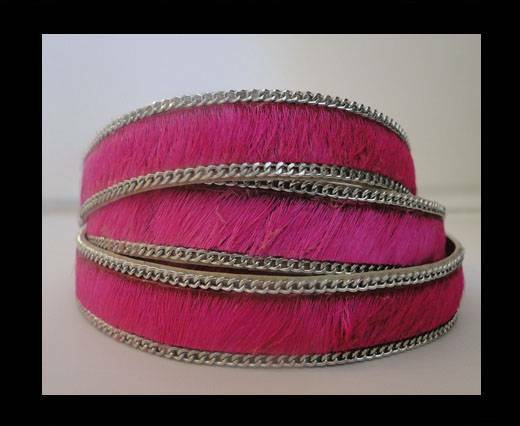 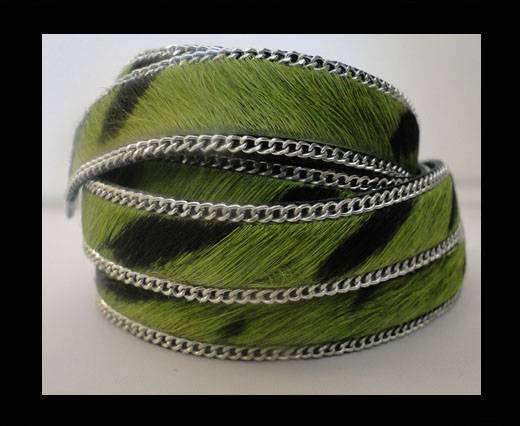 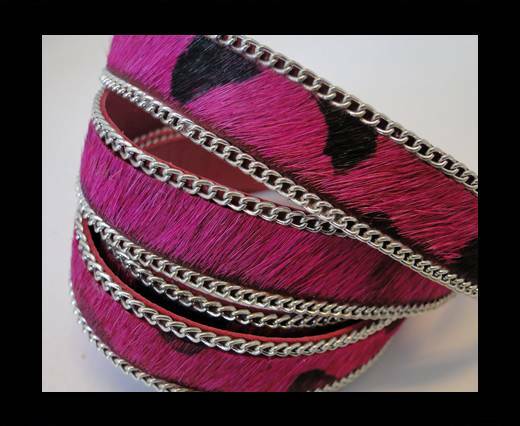 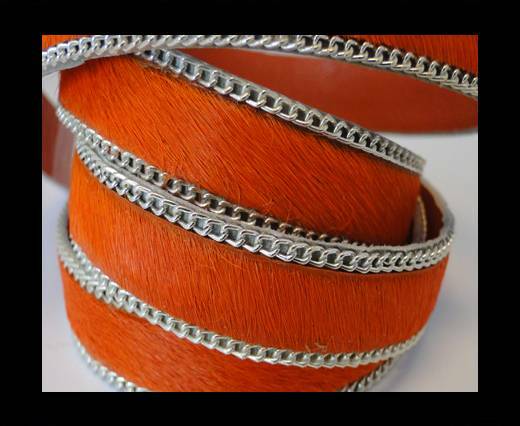 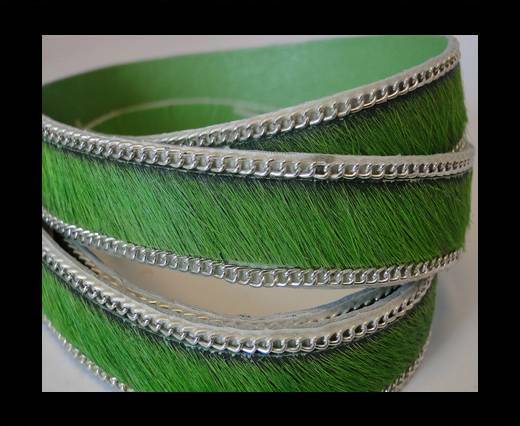 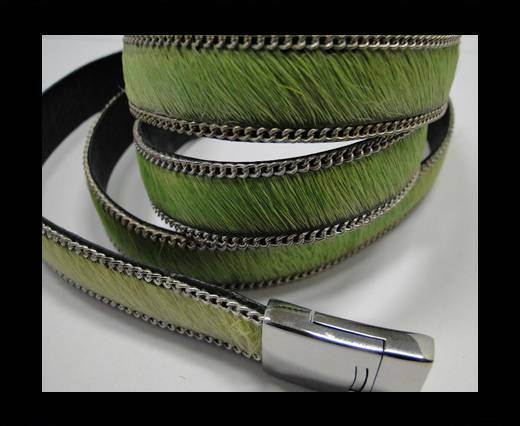 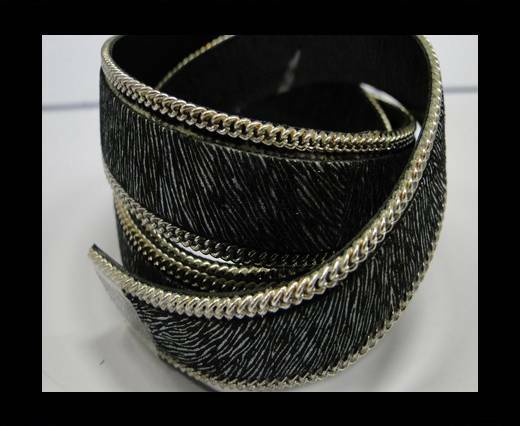 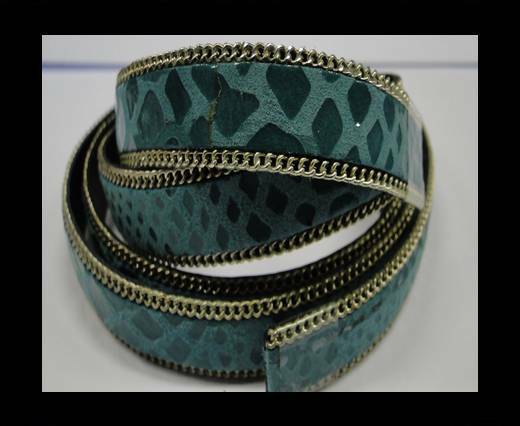 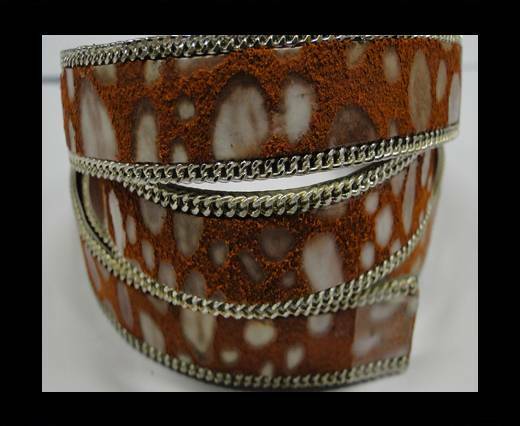 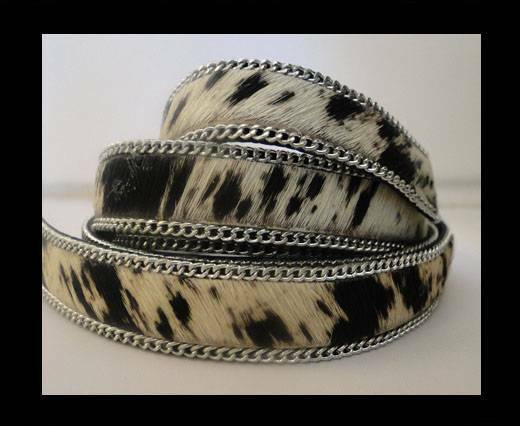 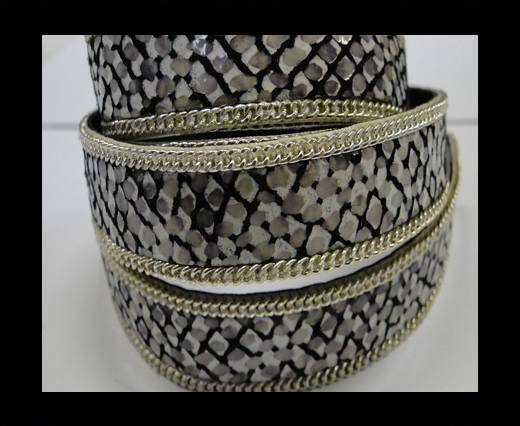 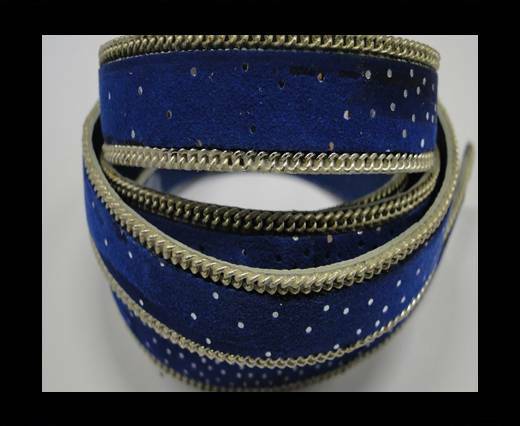 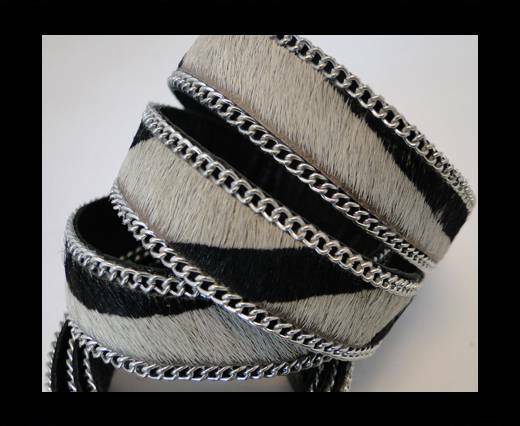 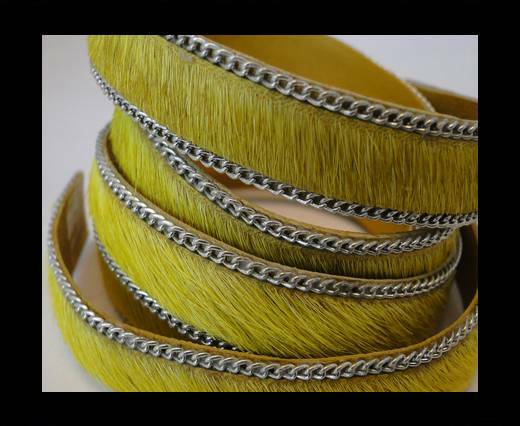 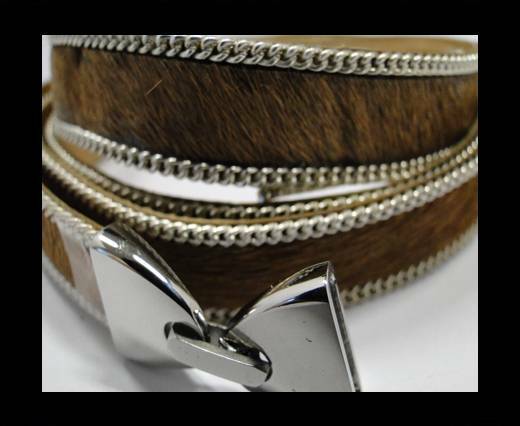 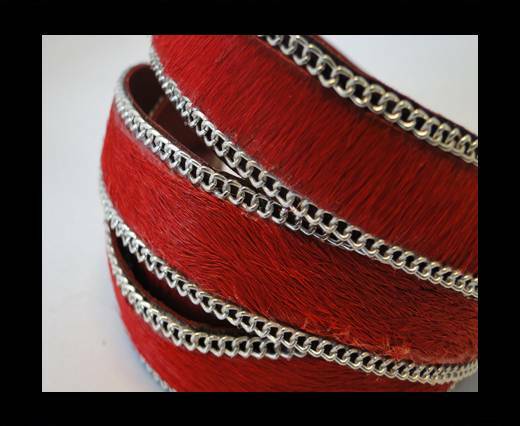 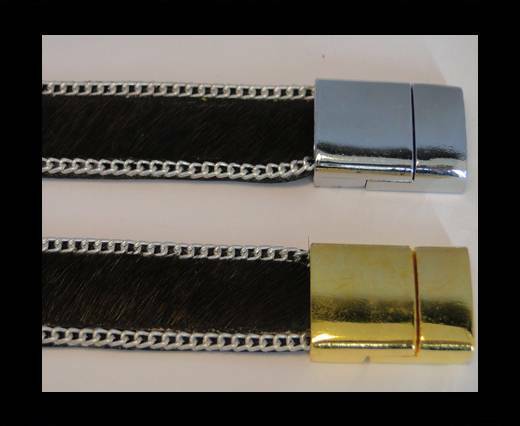 Our collection of hair-on leather with silver chains is the perfect material for creating all kinds of elegant and stylish bracelets, necklaces, chokers and other fashion accessories! 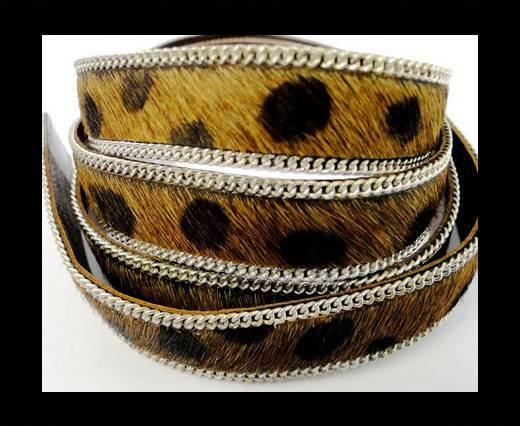 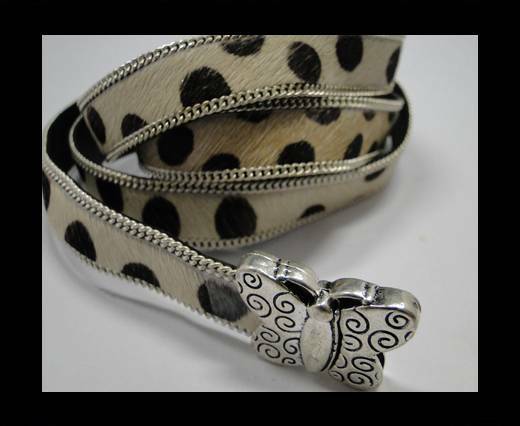 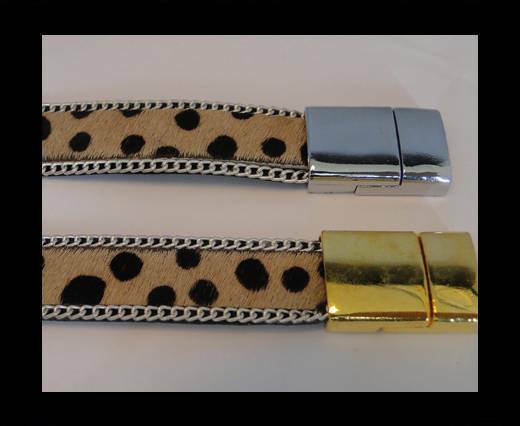 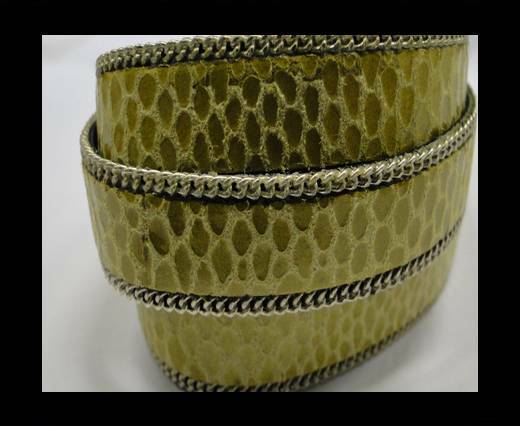 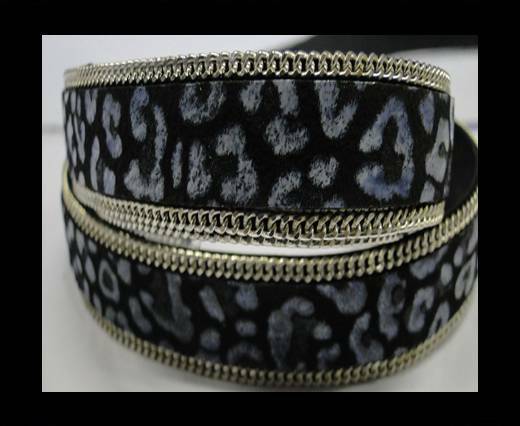 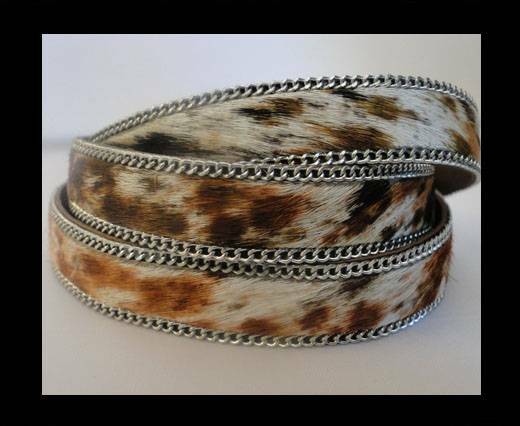 Our hair-on leather flat braided cords are offered in a variety of styles and prints, from the funky-style animal prints (including snake, leopard or zebra) to the classical plain colors.